Leftfield Coffee locally roasted in O’Connor. Rosie the old school German drum roaster from the 1950’s is operated manually without the use of computers, which means she produces the finest flavours and aromas from the beans. 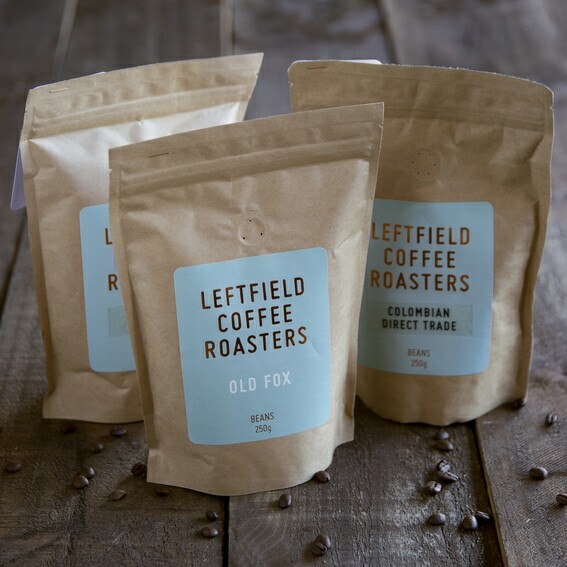 The team at Leftfield Coffee are bespoke coffee roasters with over 19 years’ experience in the craft, which means you know your getting only the best.